This example of second-grade persuasive writing tells people to treat others well. Some people are mean. Thats no good. You should be kind. It doesn't cost anything. Pat a person on the sholder. They will feel better and you will also. Then may be they help you when you need it. We can all make the world better. You use to many mussels to frown so turn it up side down. Please be kind. Thank you for your attenshun. 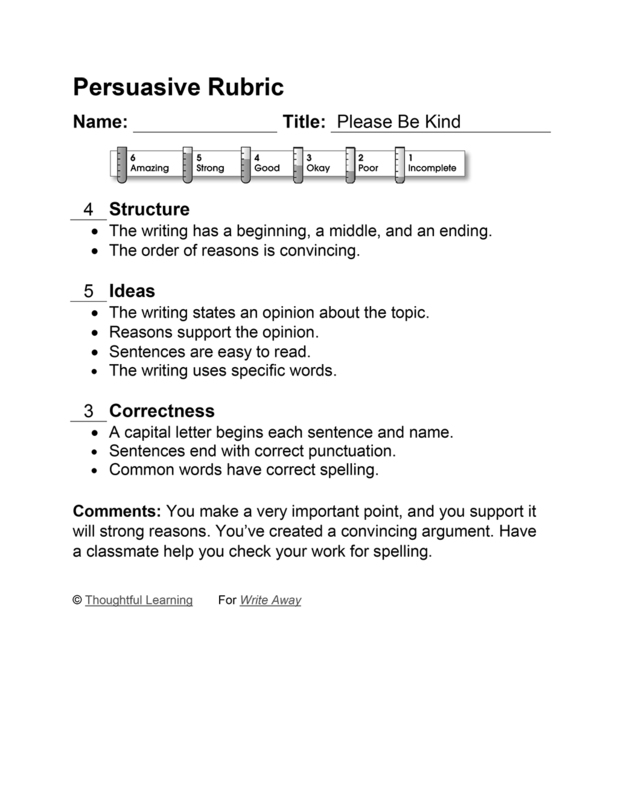 Please Be Kind by Thoughtful Learning is licensed under a Creative Commons Attribution-NonCommercial-ShareAlike 4.0 International License. Based on a work at k12.thoughtfullearning.com/assessmentmodels/please-be-kind.